Ever since I heard Klaus Schulze's Dune record, I was fascinated by the amalgam of electronic devices and the sound of the Cello. No keyboard can be nearly as expressive as the acoustic instrument, and any attempt of a keyboard player to compete with a virtuouso on his instruments would doubtless be ridiculous. Nevertheless, I love that kind of sound, and the Yamaha VL7 at least gives some more control over a virtual instrument than your average keyboard. So here it is, a two track recording with Oberheim OB-8 and JH-3 Modular laying the electronic fundament, and the VL7 being used as an "electronic cello" to improvise above that. Various FX sounds have been added afterwards - too many to remember how each of them was created. A lot of haunting voices. 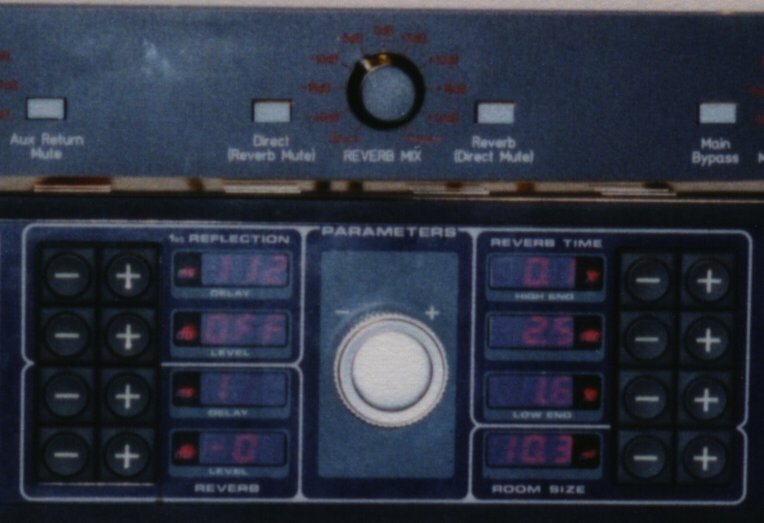 One thing I do remember is a phrase of spoken words that was first run thru the Frequency Shifter (up shift), and then sampled with the Line6 DL4 and played back an octave lower. The upward frequency shifting and downward transposing would almost bring the fundamental frequency back to its origin, but all the harmonics are alienated. 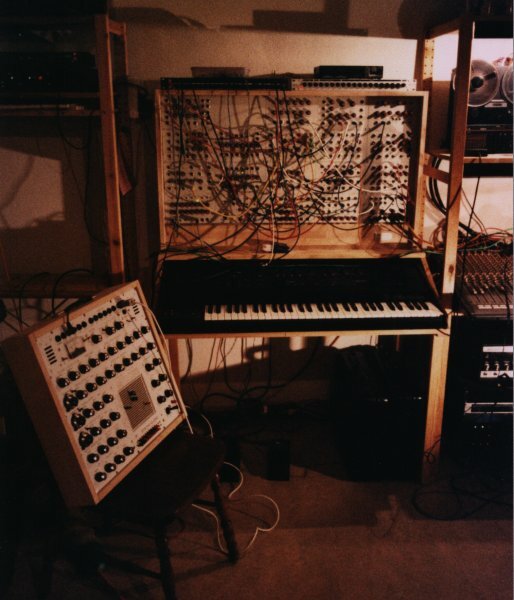 The dark Bells sound at the end is a Wurlitzer EP200A run thru the Synthi Clone's ring modulator. The title was inspired by a scene from Anne Rice's book "Servant Of The Bones", where Azriel finds the narrator feverish and near death in the snow, and afterwards tells him the story of his life. Most of the music was played directly to DAT in one go, including the rhythmic patterns, the Lambda chords and all solo lines. 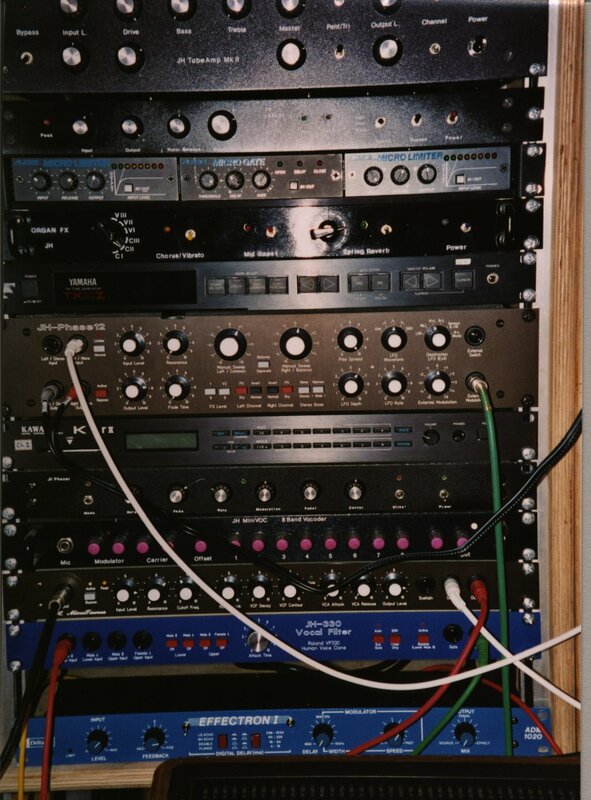 The DAT recording was then transferred to 8-Track and the effects were added as well as some additional Oberheim strings in Part 1. 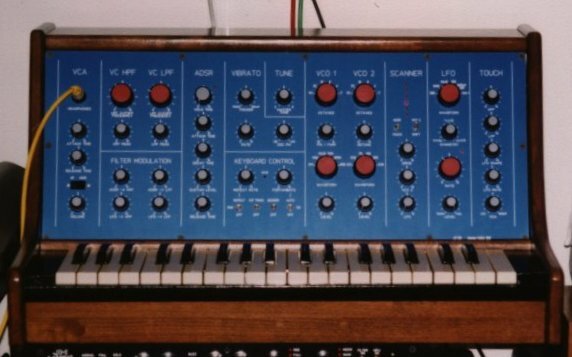 The first stereo recording was also processed with the modular synth in a sidechain, and then mixed back to the original. 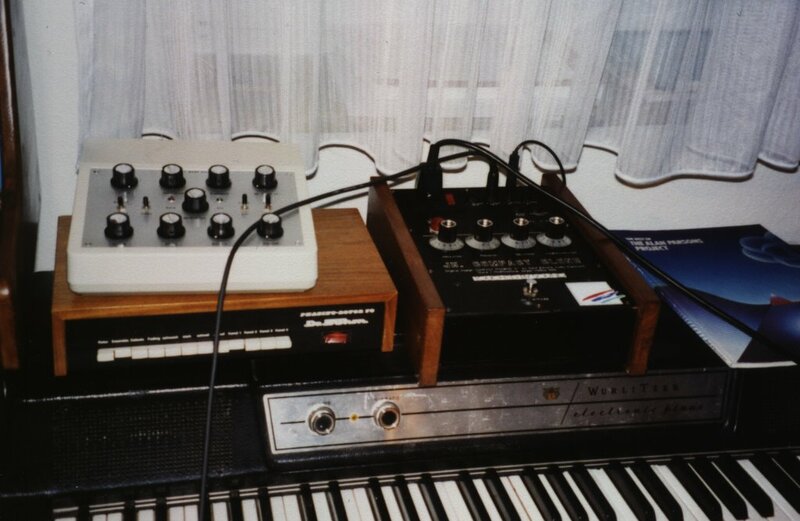 Oberheim OB-8 and JH-3 Modular were used to create the rhythmic parts, the little sequencer from the JH-3 also clocking the OB-8's arpeggiator. Lot of real time knob tweaking to keep that part interesting. The majestic harmonies in Part 3 are played on the Korg ES-50 Lambda processed with Wasp Filter and Dr. Böhm Phasing Rotor 78. 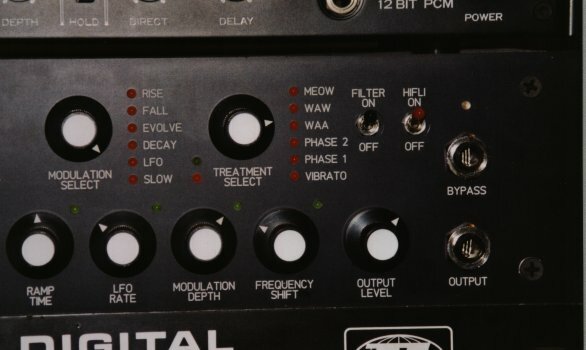 The final dissonant chords chords are contributed by a SCI Prophet 5. 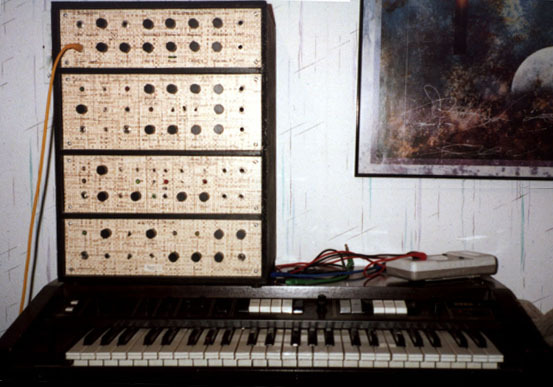 Oberheim OB-8 strings were added in Part 1. Then there is some processing with the MAM VF11 Vocoder. Throughout the whole piece effects sounds are added, mostly provided by the Yamaha CS-50 (using noise, glide and ring modulator), it's sound heavily mangled by effects boxes like Frequency Shifter, stereo phaser and cascaded echo devices. 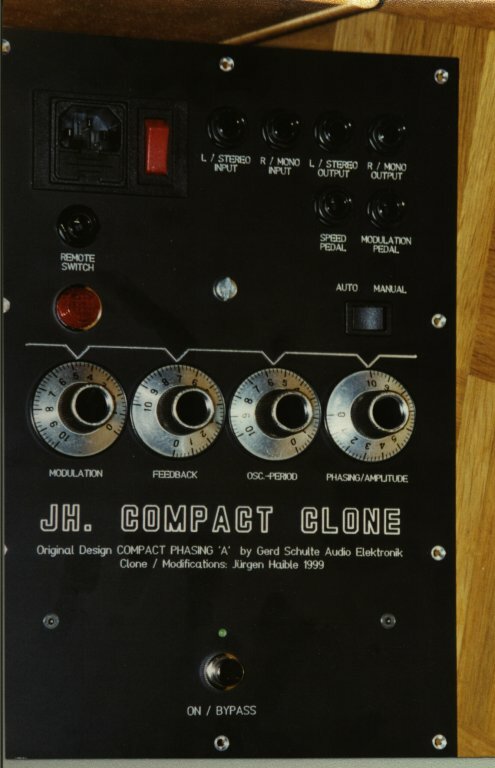 Towards the climax, some of the ensemble chords from the original recording were sparsely enhanced with vocal-like sounds from the CS-50 run thru the JH-330 Vocal Filter. Oberheim OB-8 (thru filters of JH-3 Modular) provides the dominating rhythm throughout this improvised piece - mostly in the bass range, with occasional excursions to higher registers. This is run thru the Compact Clone phaser which adds an ever shifting resonant peak and sends the bass line swirling all over the stereo base. While this bass line was running, the melodic part was built up with the JH-720 and the Line6 DL4. A melodic fragment is added to the loop, and while it is repeated and adds to the canon of previous parts, parameters of the bass line are adjusted, and other synthesizers (CS-50 and JH-4) are used for further improvising (not looped). Towards the end of the piece, a very dark and brooding Sample&Hold pattern from the JH-4 becomes dominant, and the loop and bass are faded out. A peaceful piece, created with a Loop Sampler (Line6 DL4) and a monophonic synthesizer (JH-720), plus some sparse electric piano notes (Yamaha TX-81Z thru Boss CE-1). The ambience is created with the Quantec QRS. The title was inspired by Tad William's "Otherland" novel. Another Loop & Arpeggiator piece. More on the "light" side than most of my music, despite the rather depressing book which inspired the title. Loop: JH-720 and Yamaha VL7 looped with Line6 DL4. Notice: If there is an occasional glitch or overload in the audio samples, that's in the mp3 files only - not on the CD. Don't miss my first CD, "Of Eagles And Prophets".